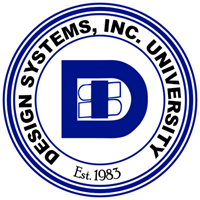 Design Systems, Inc. University (DSIU) has launched! We are excited to formally roll out the formation of our training programs to our client base designed to teach the next generation of engineers in all aspects of manufacturing engineering and the development of manufacturing facilities – some things you just can’t learn out of a textbook! DSIU has courses in place ranging from conveyors to control methods to 3D Scanning. Within a manufacturing environment – chances are we have a training program for your team. Our core subject matter experts continue to develop courses in the following areas: Conveyor Engineering, Laser Scanning, Digital Design, Paint Finishing Systems Engineering, Throughput Simulation Engineering, Supply Chain Management, Lean Engineering Practices, Electrical and Controls Engineering. These courses are ideal for cross-training plant personnel so they have a better understanding of your facilities overall activities. People who will benefit from these courses include: Plant and Facility Managers, Supervisors, Building Engineers, Environmental Health and Safety personnel, new hires and more. Employee training is ongoing process within Design Systems, Inc. and has proven to be an outstanding investment. Our training has been conducted in the United States, Canada, and Mexico. We can train in person or via video / web conferencing. Our instructors are Subject Matter Experts in their fields with years of hands-on experience. Contact us today to learn more about our training programs and to set up your team up for success. Design Systems, Inc. is a multi-disciplined engineering company with a staff of 300 people to support your needs. For over 35 years, Design Systems, Inc. has provided all aspects of manufacturing engineering, from “Concept to Commission” for our valued client base.